Tell us which topic interests you. Or Ask in the forum to a professional. NOTE: This BLOG is dedicated to the world of hair, here you will find articles on: Styles & Inspirations, Tips & Tricks, Smart Shopping, Special PRO, a journal for hairdressers and customers, better than a hairdressing magazine, the real newspaper of reference of the hair sector. Extravagance or strand of fantasy, punchy touch lends itself to many different styles. Declined by creators, popular in collections, it retains its place of honour in every season to give dynamism to hairstyles. A bit provocative, it can be also subtle and sophisticated. This is probably a desire to stand out and break the routine. These flash colours play with contrasts where inventive creation is the only master. A very stylish look that certainly will not go unnoticed. 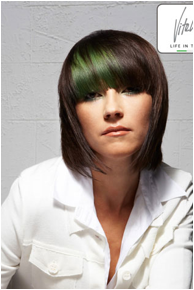 With those examples Collection Hair may persuade you to switch to flashy! The sparkling wick Fushia from L'oreal will rock you. 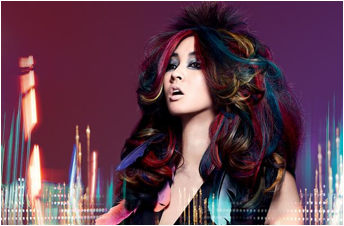 Toni & Guy go for the modern & electric look with blue metal or magenta. Emerald fringe of Vitality's is unexpected but fascinating. 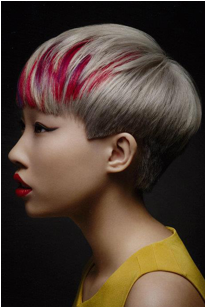 Goldwell : charming blond with an ambitious red raspberry, very creative! Biguine focuses on the lengths of copper to enhance a natural tone. Azure colour that contrasts a light blond, Top Model assumes the non-conformity. Metallic blue to orange-red, Balmain presents a sample of its colourful extension collection. The elegance of the Haute Coiffure Française crown a very refined pastel pink. 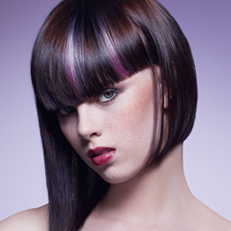 Wella plays with subtle blend of purple, ranging from plum to mauve. 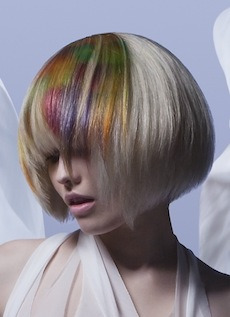 A refined and harmonious multi colored by Christophe Gaillet , which is very charming. Did you like this article about hairstyles? Crest or Pompadour hairstyle, the high volume on the head! Long Hair Bun Step by Step.